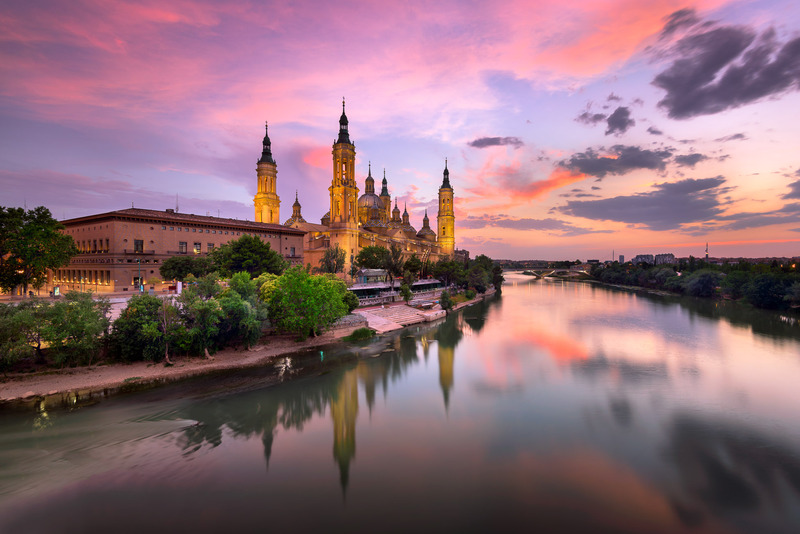 On the way from Costa Brava to San Sebastian, I stopped late one afternoon in Zaragoza, a sacred space along the Ebro River. It’s difficult not to be impressed by the imposing structure, particularly with the pastel hues of sunset reflecting on its brightly colored tile domes. June 2016, single image, additional exposures for highlights, focal length 16mm, aperture f/8, shutter speed 30 seconds, ND 5-stop filter, ISO 64, tripod. The basilica has an ancient history. The faithful believe that it was here, in 40 AD that St. James the Apostle sat along the Ebro River, contemplating his failure to bring Christianity to Spain. According to legend, the Virgin Mary appeared to him atop a pillar of jasper. She told him that his determination to bring Christianity to Spain would not be in vain and asked that he consecrate a church in her name. The result is the baroque Basilica of Our Lady of the Pillar, a fascinating work of architecture that is vaguely Byzantine in its sensibility. Numerous churches have been built on the spot, each one larger and more ornate than the last. Begun in 1681, the structure was considerably modified in the following century. The sacred pillar — the one on which the Virgin appeared — is tucked away inside with only a small portion visible. Over the centuries, the faithful — popes and peasants alike — have lined up here to see the sacred stone, its surface polished smooth by years of supplication. I was fortunate enough to arrive in Zaragoza at the end of the day as a brilliant pink sunset fell over the city. For the most beautiful view of the basilica, I set up my tripod on the Puente de Piedra bridge and framed the shot so that the striking building was the focal point. With the sunset falling over its brilliant tile domes, the basilica was awe-inspiring. This entry was posted in City and tagged Aragon, Spain, Zaragoza.